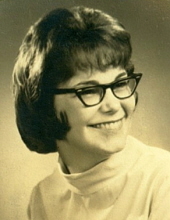 Barbara M. Salyers, age 71, of Centerville, IN and formerly of Eaton, OH passed away Sunday, April 14, 2019 at Reid Hospital in Richmond, IN. She was born May 27, 1947 in Dayton, OH to the late William E. and Doris Marie (Spears) Maiden, Sr. Barbara was a 1965 graduate of Eaton High School and earned her Master’s Degree from Wright State University. She previously worked for Preble County Mental Health and retired as a Social Worker from Wernle Children’s Home in Richmond, IN. In addition to her parents, she was also preceded in death by her husband James William Salyers in 1990; and her brother William E. “Chip” Maiden, Jr. She is survived by her sons: William “Bill” (Amy) Salyers, James “Rob” (Christine) Salyers, Matt (Harmony) Salyers and Daniel Salyers; grandchildren: Alexandria (Joshua), Jennifer, Bethany, Jacob, Zachary (Aubrey), Dalton and Riley; great grandchildren: Owen, Theodore, and Hudson. Family and friends will be received on Tuesday, April 30, 2019 from 11:00 am until time of memorial service at 12:00 noon at the Girton Schmidt & Boucher Gard Funeral Home, 226 West Main Street, Eaton, OH. Internment will be at Mound Hill Cemetery in Eaton. Memorial contributions may be sent to Reid Hospital Foundation for the Hospice Program, 1100 Reid Parkway, Richmond, IN 47374. Online condolences may be sent to the family by visiting www.gsbfuneralhome.com. To send flowers or a remembrance gift to the family of Barbara M. Salyers, please visit our Tribute Store. Guaranteed delivery before Barbara's friends received begins. Guaranteed delivery before Barbara's memorial service begins. "Email Address" would like to share the life celebration of Barbara M. Salyers. Click on the "link" to go to share a favorite memory or leave a condolence message for the family.